Mario and I started working together in 2010 while we were attending New York Film Academy in New York. We lived and worked in the USA for over 6 years. Back in 2014 we both had stable jobs in the post production area in Los Angeles, and we decided to take the chance and start our own post production studio in São Paulo (I’m Brazilian, and Mario is Italian). 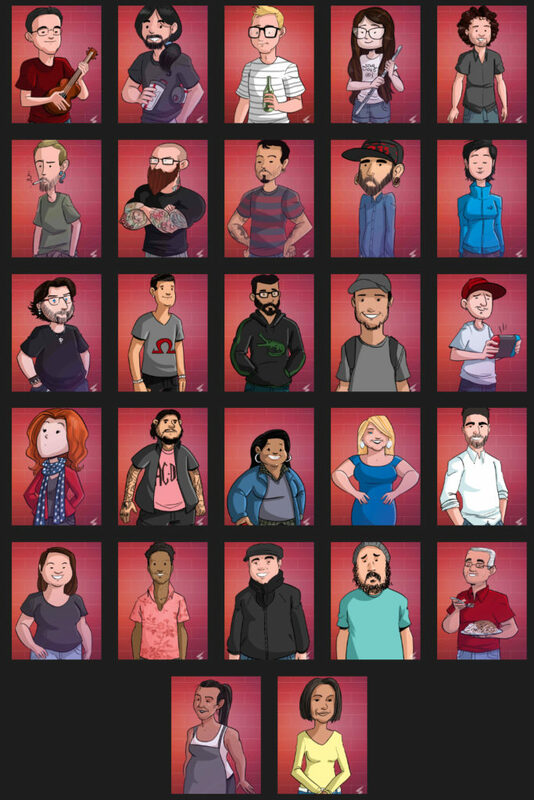 We wanted to combine our professional experience and start a creative company that united technology, work, and fun. So we left everything behind and headed towards Brazil, to one of the best and most satisfactory professional and personal experiences of our lives. Brazil has since given us many opportunities and welcomed us in an incredible way. 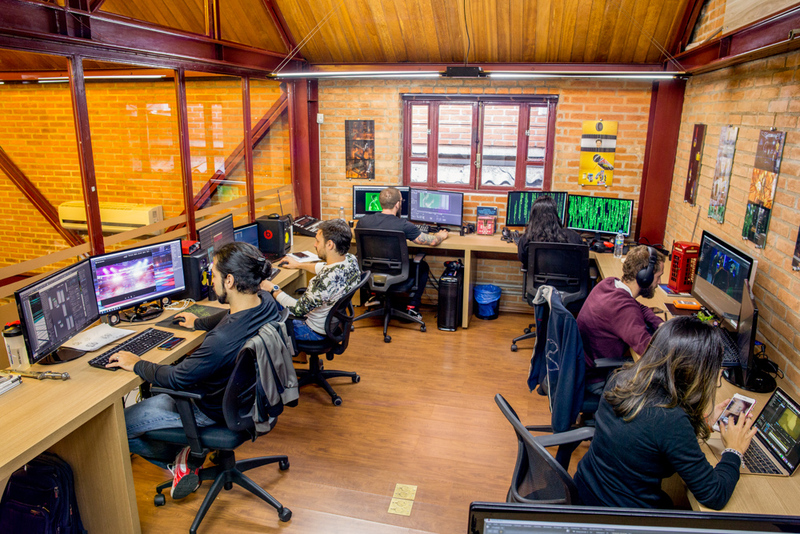 We had the know-how in post-production, and in the middle of the worst economic recession in Brazil, we invested in structure and equipment to open the company. We started operating in November 2014, shortly after the Brazilian elections. It was an extremely risky, uncertain and economically difficult period in Brazil, but we saw this as a business opportunity. We thought it was time to introduce our business model, a young company with new talent in the industry, hungry to learn and show its potential. One of our goals was to provide opportunities for new artists, to train them and to teach them in the way we like to work. The work process is very important for us, because we are always testing new technologies, reinventing formulas and creating cool projects. We also have an unconventional work schedule, at least as far as the film industry is concerned – we start early, working from 8am to 5pm, and we care about the quality of life for all our employees. Stratostorm consists solely of young talent, everyone is under 31 years of age. We believe in our generation, the new generation of Millennial (or Generation Y) professionals who are transforming traditional models. 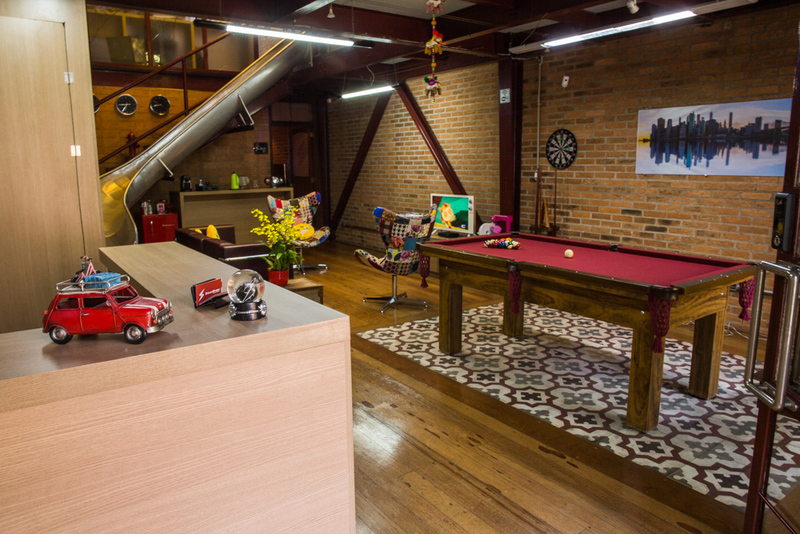 The work environment is fun, with a pool table, video game rooms, a slide, happy hours and breakfasts, all designed to bring the team closer and encourage creativity. We provide access to online workshops for the artists to improve their talent, and we want the production process to be enjoyable for both the team and the clients. We are always in search of good people, with different backgrounds, who have good values, that will add their unique abilities and personality to the company. We realized that there was a demand for this in Brazil, and it was the best timing to start our business. 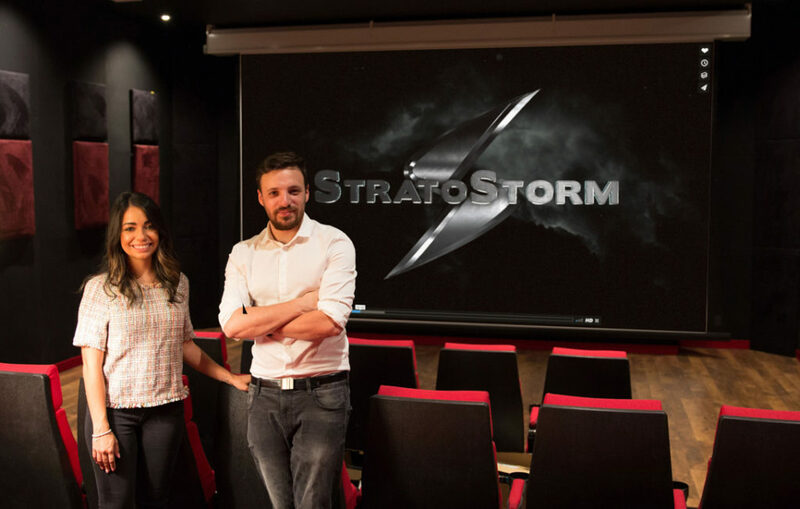 Stratostorm is a company without investors, our cash flow literally depends on having one job after another. We have to be creative and keep in mind that the first few years of the company need a relentless dedication to finding opportunities to collaborate with clients, and to find efficient, fast, creative and cost-effective solutions for the projects. This demands a lot of discipline and focus. Our philosophy – besides forming an excellent team – is to re-invest in our own company, creating original content such as our first IP ‘Monsters Got Talent’, 3D animated short film. Monsters Got Talent from StratoStorm. 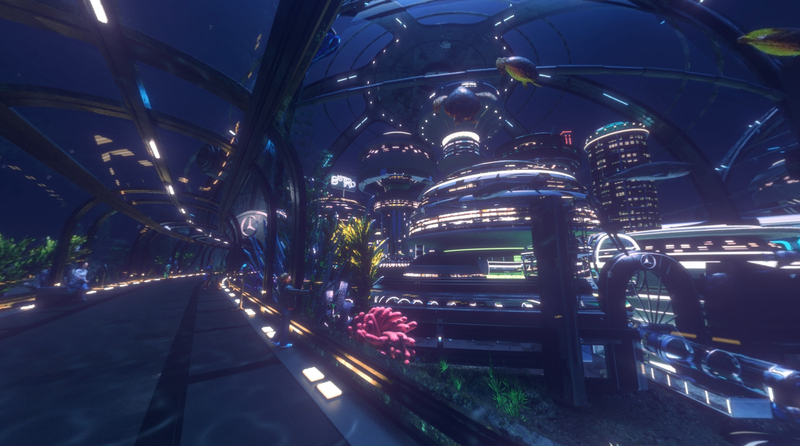 From the first year, in the team’s free time, we created projects, scripts, and produced 3D animations that are Stratostorm’s own intellectual property. The best way to showcase the potential of the company is not just to talk, but to show what we are capable of creating. At the same time, we are cautious with our planning, to make sure we push ourselves but without overshooting what we are in a position to complete. Every project approved, and every hiring of a new team member, is an immense joy, an achievement! It’s very satisfying to see the company growing little by little in our own way. Clients have been attracted by our quality work and competitive budgets; this is modern and efficient management, and it works – and 100% of that success comes from our dedication. The company is growing gradually; today we have a team of 20 people, but the management and executive decisions are still my total responsibility, and the creative direction and supervision is Mario´s responsibility. We follow everything closely, and are building our own dream company. Panic! At The Disco- Hallelujah from StratoStorm. We first discovered Corona Renderer through one of our artists while we were in the production of the CGI for this music video. It was the first time we had used Corona Renderer, and Corona has been part of our pipeline since then. Our challenge at the time was to render photorealistic shots within a very short deadline and optimize the CGI and animation work. The result was fantastic and it is still one of the studio’s most outstanding projects. In late 2017, with over 90 projects completed in Brazil and the USA, we expanded our activities and opened a front-end office in Los Angeles. 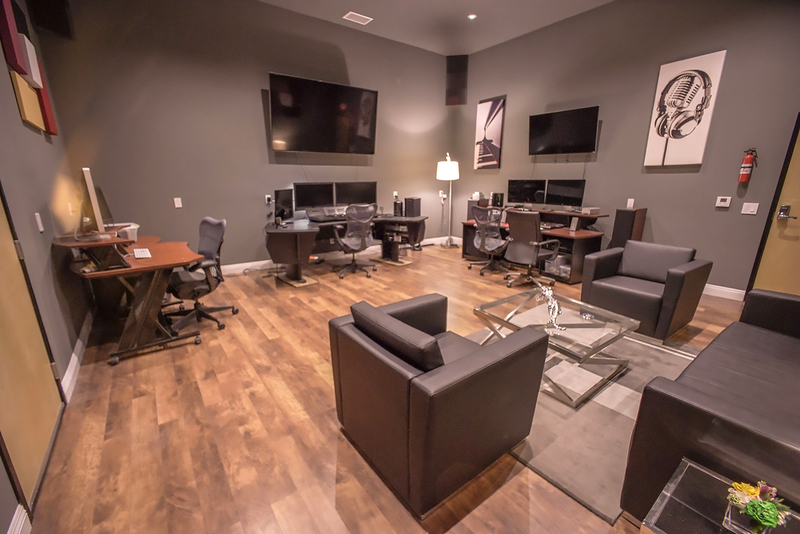 The new location is equipped with workstations, a color suite, screening room, and green screen studio. 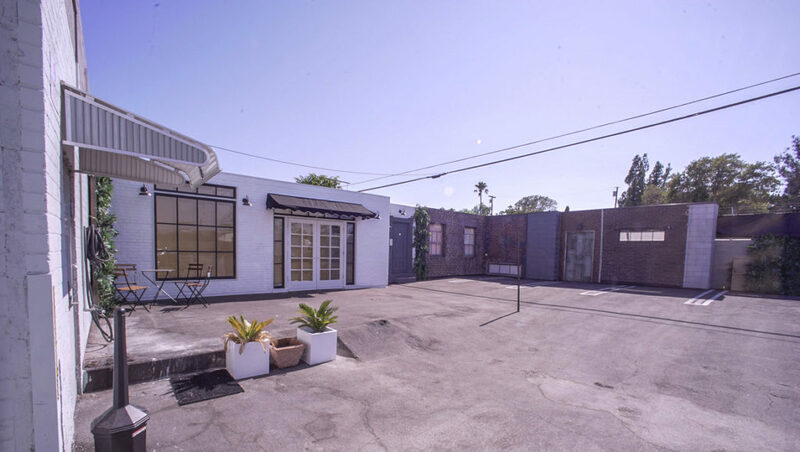 We are going to offer Brazilian clients a modern infrastructure and the possibility of working with international creators, as well as being a hub for producers who want to film in California. The goal is to offer an attractive cost benefit to US clients as well. Stratostorm L.A. from the outside…. Brazil is still our headquarters and continues to be our main market. Again, this is a risky strategy for a private company, but with our knowledge in the international market, this is a natural transition and we are confident that it will be a journey that will bring even more knowledge and opportunities. Our goal for the next 3-4 years is to develop business opportunities in other countries, create more of our own IP, and increase our main talent pool in Brazil. Corona helps us due to the Interactive Renderer, and the materials are extremely user-friendly too. Since the Panic At The Disco! video, Corona is our render software for everything from advertising to television projects. One such project that we recently completed was a 360 VR for Listerine. It was a fun project to work on and all the artists were very excited about it. One of the coolest parts of the project was finding solutions to bring the script to life. It was a very interesting process because we had to adapt techniques that we use daily in animation, 3D modeling and rendering to a 360 scenario, to dictate where the viewer would look. For the illustration, we did a research on buccal anatomy to have an idea of the function of each tooth, and then locked those ideas in at the final concept. For 3D modeling, since the teeth do not have a correct basic anatomy, the challenge was to make this transition from 2D to 3D and make the tooth pleasant for the viewer to look at when it integrated with the scenarios and other teeth. Esquadrão Anticáries | Siso from StratoStorm. The challenge that was to rethink the scenes in the girl’s mouth into a playful world with a totally different scale, and to plan the layout of each element to make the whole scenario interesting. Unlike an ordinary animation, where we know what is being framed in the camera, in 360 the viewer can look wherever they want. We had to be careful to make a layout that would make the whole scenario interesting, and use the animation and elements to guide where the user looks. In the animation, we took care to give each tooth its own personality, both the main ones and those that are in the background too. If you watch the animation several times you can see that in all the shots the characters are doing different things; they were complex animations without a fixed camera, so it had to be beautiful and functional in all directions. 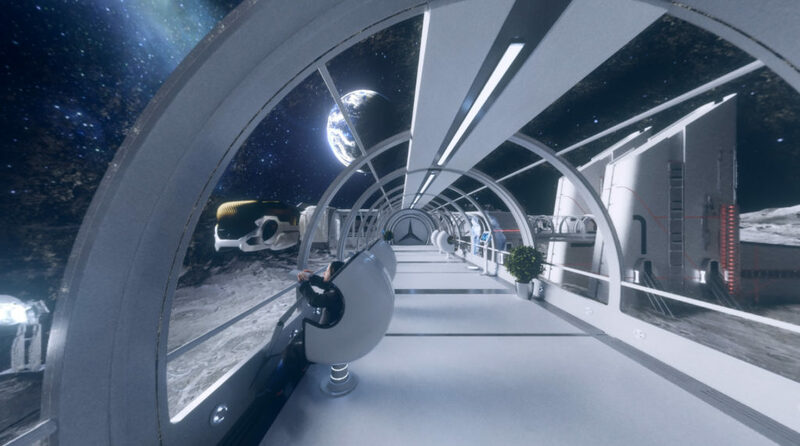 When working in 360 degrees, the viewport doesn’t usually give us the final look of what we will see, and this was a challenge for us – fortunately, the Interactive Renderer helped us to optimize the process of look dev. The CoronaCamMod (editor’s note: now replaced with the Corona Camera in Corona Renderer 2) helped us due to the configuration with the spherical projection for VR with features such as stereo mode, where we were able to test the stereo render. Esquadrão Anticáries | Canino from StratoStorm. During production of the video, a new release of Corona added subsurface scattering that was better optimized, and that allowed us to work and render faster since all the characters had subsurface scattering used. The Denoising feature helped to make the render clean, and everything was rendered to 4k. Besides television spots for advertising and the new television show for Sony Channel entitled ‘Desencontros‘, we are currently working on two Stratostorm IPs, one called Medusa, the other Umbrella – both are fully 3D animated short films, one is sci-fi and the other is drama/fantasy. Then, hot off the press, we’re excited to share our work on the Umbrella project, with the very first public viewing of our the main character, Joseph. For creating the character, it’s been our honor to work with the amazing artist, Victor Hugo, who is very well known for his LookDev work on Moana, and for his work with Blur, Marvel Enterainment etc. Umbrella has an original story by Helena Hilario, and creative direction and supervision by Mario Pece. 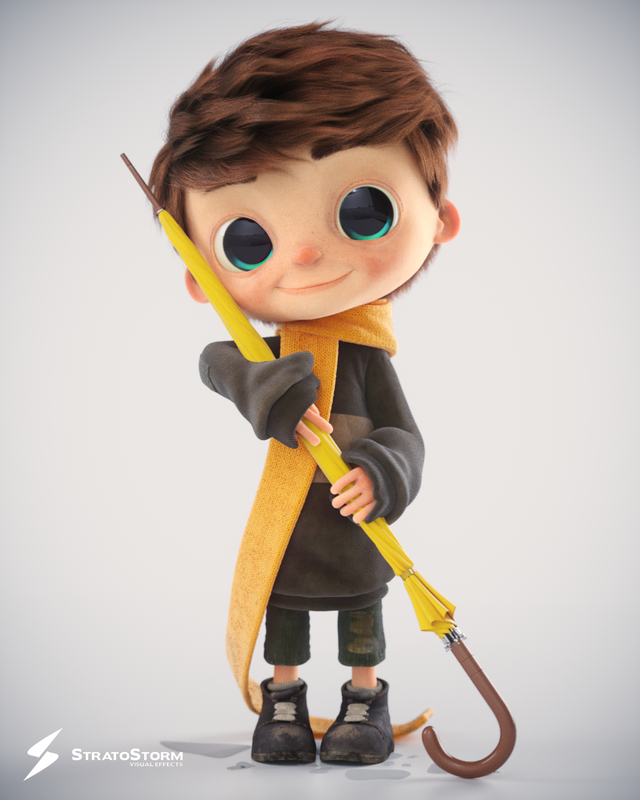 The project is led by our 3D Artists Alan Prado and Dhiego Guimaraes. Keep your eyes open for more updates from the project in the future! 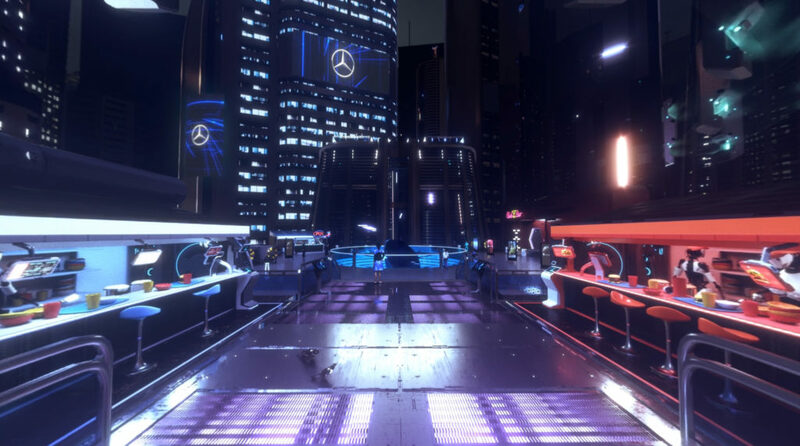 We’ve also recently finished a VR project for Mercedes – we’re pleased to share some stills from the project below, and you can also find the VR videos here. Thanks for reading, and we hope this the article has inspired you to follow your own dreams, even when it seems risky!